Assignment: Creation of current generation prop model for games with complex surfaces. You had to choose and develop a new prop model, learn to create complex surfaces using color, normal, ambient occlusion and specular textures. 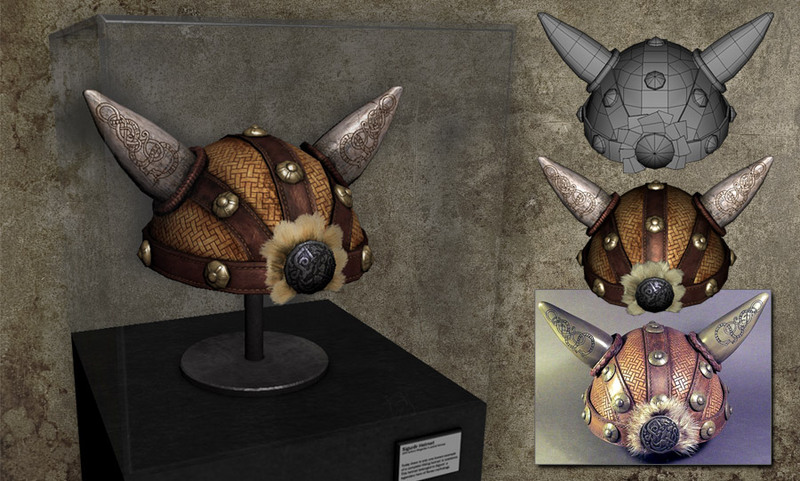 I choose a Viking Helmet because of the wide variety of materials. The review: Overall, the finished model looks good. Well modeled and thoughtfully textured.